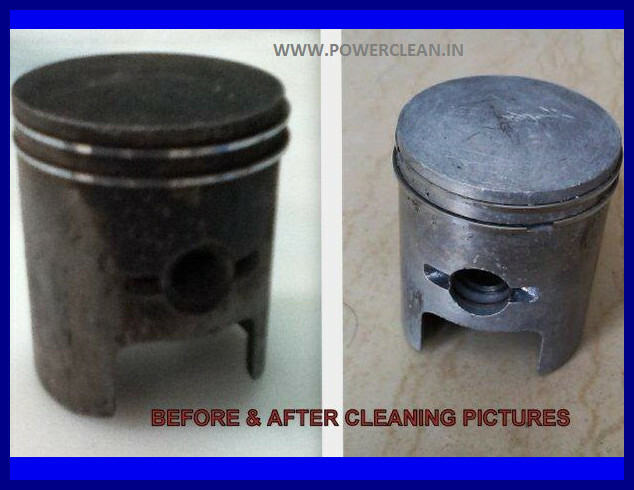 POWER CLEAN-[CR] is a very effective metal cleaner / degreaser that removes Heavy Carbon Deposits Oil, Grease, Dirt e.t.c from engine / auto components very easily and quickly. Best Engine Cleaner and Degreaser that Works Hard! POWER CLEAN-CR is an engine cleaner and degreaser that has been specifically formulated to remove carbon deposit from used engine components. POWER CLEAN [CR] carbon remover/engine degreaser and cleaner is a combination of highly active, fast-penetrating solvents with selected detergents and corrosion inhibitors capable of removing carbon deposits, varnish, gummy matter etc. from diesel engine pistons, rings, valves and other parts where oil combustion deposits may get accumulated. POWER CLEAN [CR] Carbon Remover/engine degreaser is supplied as a liquid concentrate that needs to be diluted down with water in 5-25% concentration by volume based on contamination and at an operating temperature range of 62 to 70 degree Celsius. It may be used in the ultrasonic cleaner where ultrasonic agitation enhances the cleaning action of this cleaner. Filtered hot air helps dry out the parts. POWER CLEAN-carbon remover/cleaner penetrates deposits and dissolves oil, grease, varnish and most by-products of incomplete combustion. Insoluble mineral matter (carbon, soot, ash, dirt) is softened so that it can easily be removed with a water rinse. 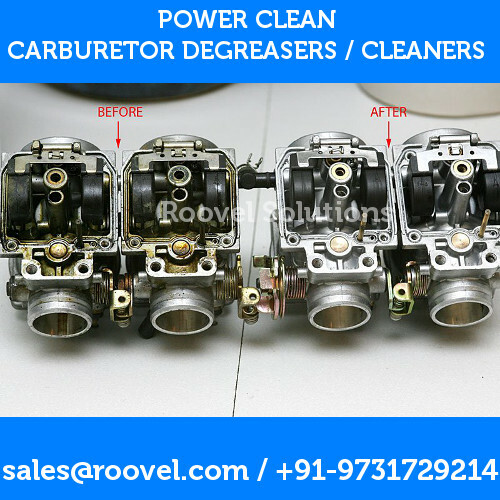 POWER CLEAN-CR/carbon remover cleaner has many other uses as a parts and equipment cleaner. For example, it is an excellent paint stripper for oil base, latex and epoxy paints. Heavy carbon deposits from engine components such as pistons. Crater & Lithium grease, dirt and dust. Crater & Lithium Grease, Dirt, Dust. We tried many product unsuccessfully. POWER CLEAN CR works on multi metals and were able to have one single solution for all our engine parts cleaning needs. This saved us lot of time cleaning the carbon deposits from the engine components. we used to use Kerosene and rub on the parts for hours. Now it just takes minutes to clean the same components using POWER CLEAN CR.